Putting together a work-friendly wardrobe for the first time can seem intimidating. If you’re thinking, “Do I have to surrender to the Hillary Clinton pantsuit?” – we get it. Luckily, the answer is no. Depending on your workplace and personal style, updating your wardrobe for your job can actually be super fun. You get to upgrade your closet to Boss Lady level, meaning you’ll not only look good, but look way professional, too. Of course, as a tall babe, looking fierce and profesh does come with some added challenges. The accidental-crop-top is one thing at the club, but it’s definitely not a problem you want to have at the office. That’s why Alloy Apparel has got tall – and professional! – covered with work pants for tall women, not to mention dresses, sweaters, and blouses for tall ladies. But first, let’s study up on the basics of workplace attire. From legal offices to non-profits to creative spaces, you’ve probably heard a few terms kicked around that need a little explaining. Imagine: You’re stoked to get a call for an interview, and your potential employer tells you the dress code is “business casual”. Wait – aren’t those kind of two different things? The difference between business casual and business formal isn’t always obvious, but it doesn’t have to be complicated, either. Basically, for business formal, think super traditional corporate environments – consulting firms, law firms, the financial sector – where men and women are expected to dress conservatively in suits, button-ups, and neutral colors like gray, blue, or black. There’s a lot of overlap between business formal and business casual – hence “business”. While with business casual – smaller businesses, non-profits, and even some start-ups – you can get away with more fun colors, patterns, and more trendy types of shirts or blouses, it all still boils down to looking professional. That means never showing too much skin (skirts should always reach the knee, for example) and making sure clothes fit properly (you can look unkempt if clothes are too loose or tight). For business formal workplaces, keep these to neutral colors like black, navy, or gray, and cover spaghetti straps with well-fitting suit jackets or blazers. For business casual, try tasteful florals or stripes, but avoid mini-length dresses. At the same time, maxis could look too formal for work, so maybe save those for the weekend. 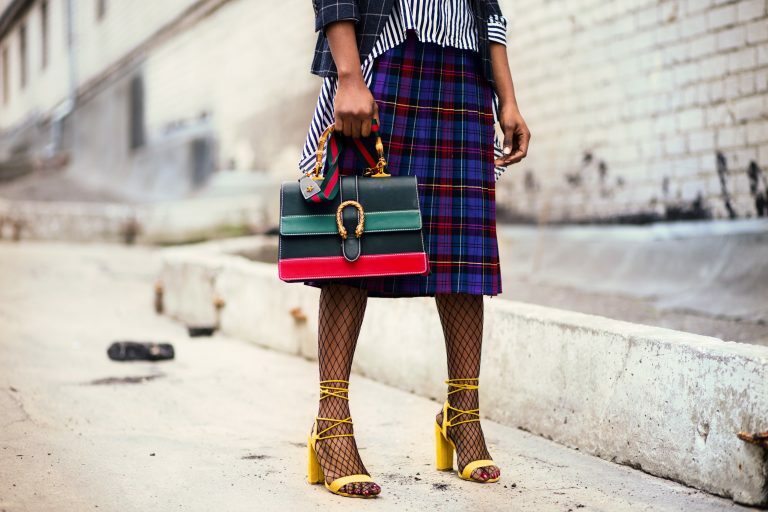 No matter how cool your office is, it’s a good idea to keep skirts to modest cuts like pencil or A-line – no mini skirts and no wild fabrics, like leather. As with dresses, go for neutral colors in corporate settings, but feel free to have fun with patterns in more casual settings. Jackets and blazers are perfect for business formal settings, and it’s not a bad idea to have them tailored to fit your tall figure. For business casual, sweater-jackets and long sweaters are great go-to’s. While there are some basic no-no’s (see-through material, low-cut shirts, spaghetti straps, crop tops), tops are where you can have some of the most fun with your workplace wardrobe. You can add a little fab to an otherwise safe outfit with fun lace trim, cute buttons, or subtle patterns. When shopping for blouses for tall ladies, you can opt for things long enough to tuck into cute skirts or pants. This is another place where you can express your personal style with cut while staying well within a workplace’s modest boundaries. Alloy Apparel’s work pants for tall women have every style covered, from high waist to straight to flare, with inseams made to fit your long legs so you can keep climbing that professional ladder in style. We’re firm believers that tall babes should #weartheheels, but in the office, it’s best for everyone to keep heels simple and low – never higher than 3 or 4 inches. You may be soaring over the competition at your job, but no need to make it literal! …because when you’re killing it on the job non-stop, sometimes those feet just need a break. Yep – not the most glamorous item, but a definite sign you’ve gone from tall babe to tall Boss Lady. Stay away from super opaque tights, and definitely avoid snags and runs. So there you have it – your ultimate guide to dressing fresh and fabulous for work. With Alloy Apparel’s work pants for tall women and blouses for tall ladies, you’ll be impressing your coworkers and boss in all the right ways!